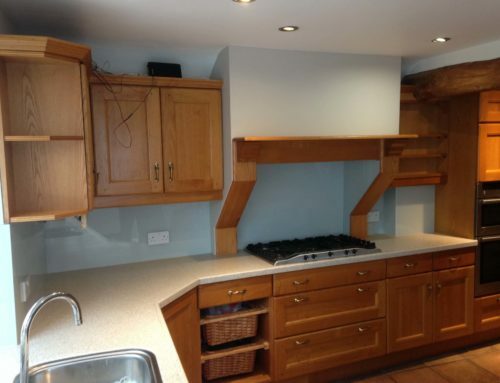 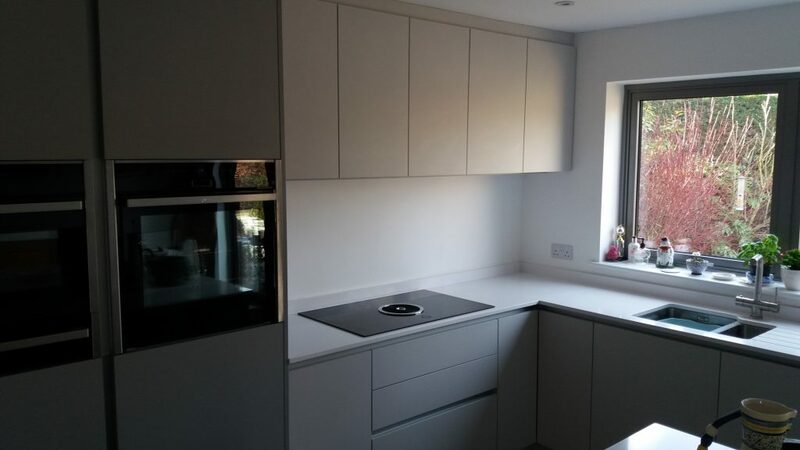 Our customer near Newark had recently updated their home with a fabulous new kitchen designed and installed by Philippa Peace Kitchens. 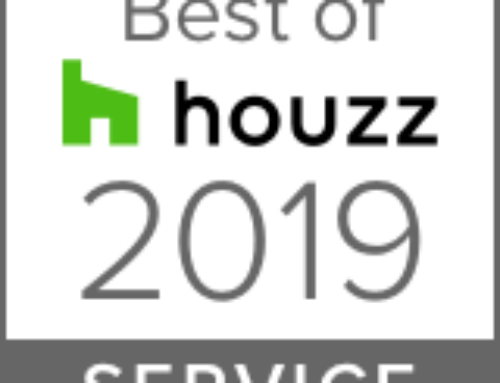 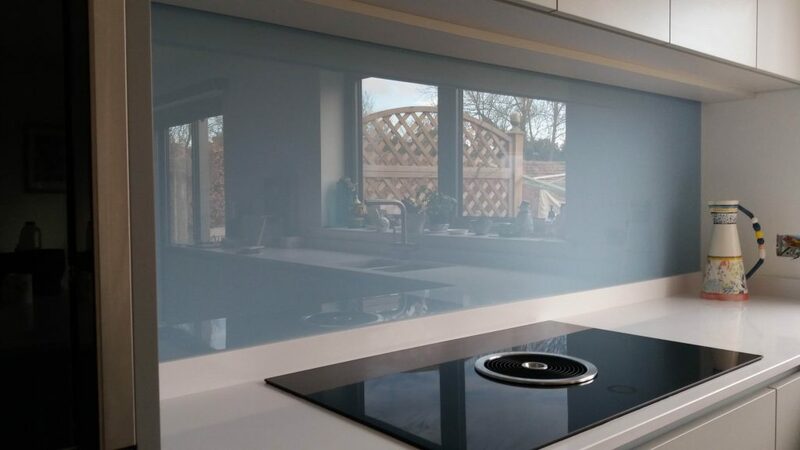 The contemporary kitchen features an island, a down draft Bora induction hob and gloss door fronts in a light grey complemented by white solid surface worktops. 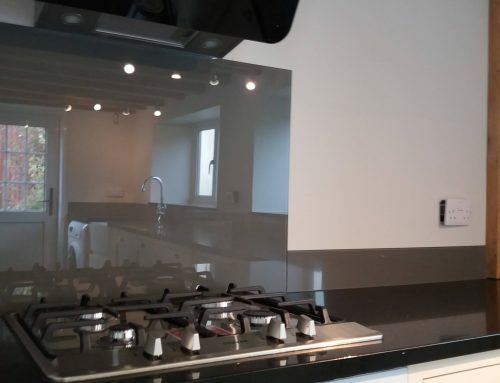 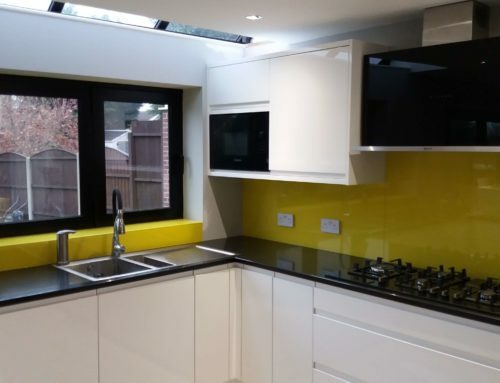 The clients wanted add to some colour in to the living kitchen and decided on a glass splashback to reflect light and protect the wall behind the cook top. 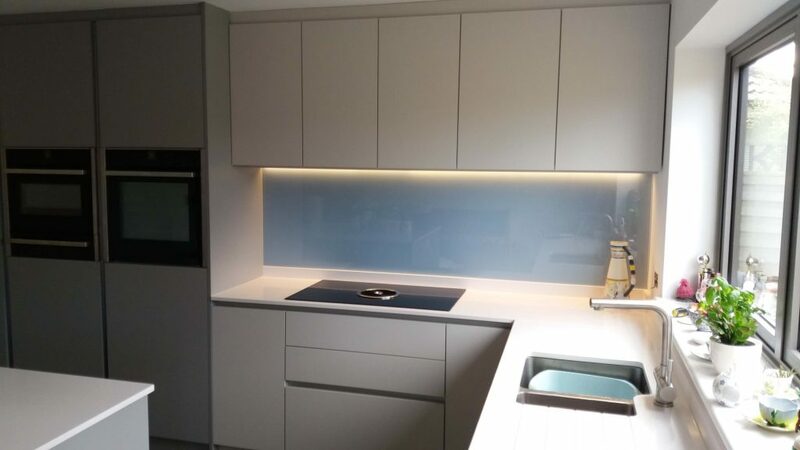 They opted for a pastel blue and we were able to manufacture and install the made to measure 6mm toughened glass splashback for them.